This is a large stag's head made from papier mache which I've painted with Folk Art Metallic Silver Chalk Paint and covered with Mod Podge Extreme Glitter and Black Extreme Glitter Paint for the eyes. 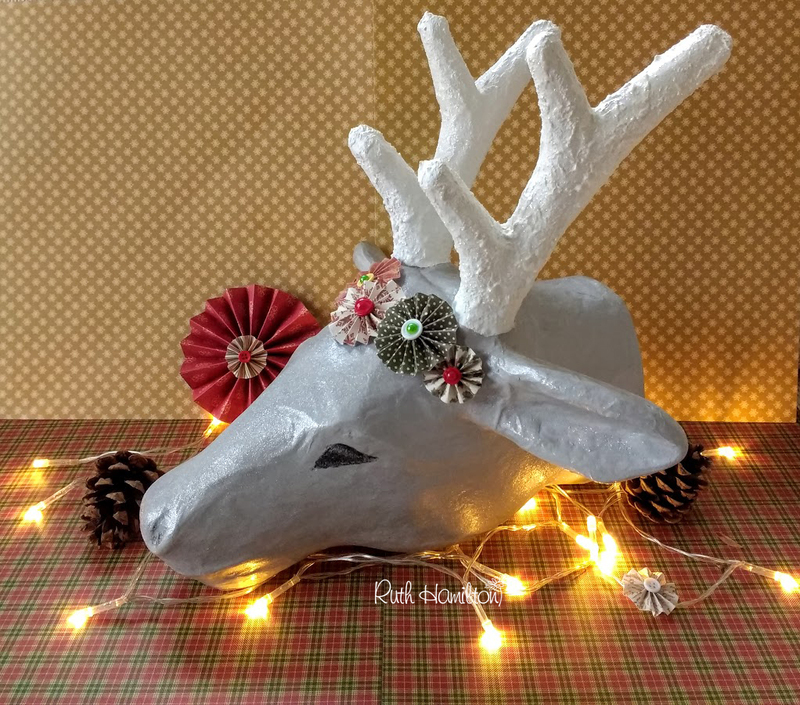 I covered the antlers with 3D Snow Effect and added Extreme Glitter on top. 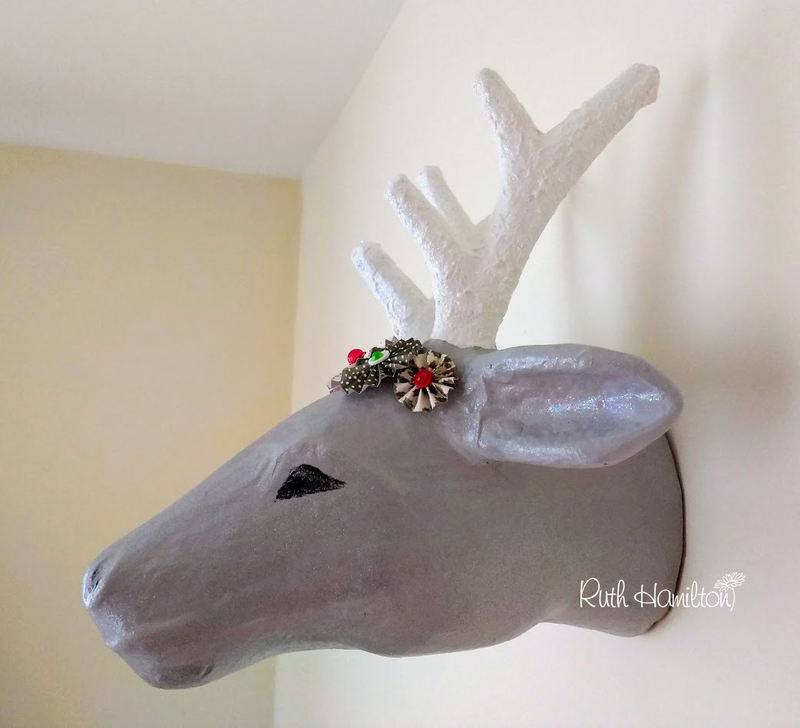 I've attached some Dovecraft "Magic of Christmas" accordion stickers around the base of the antlers.